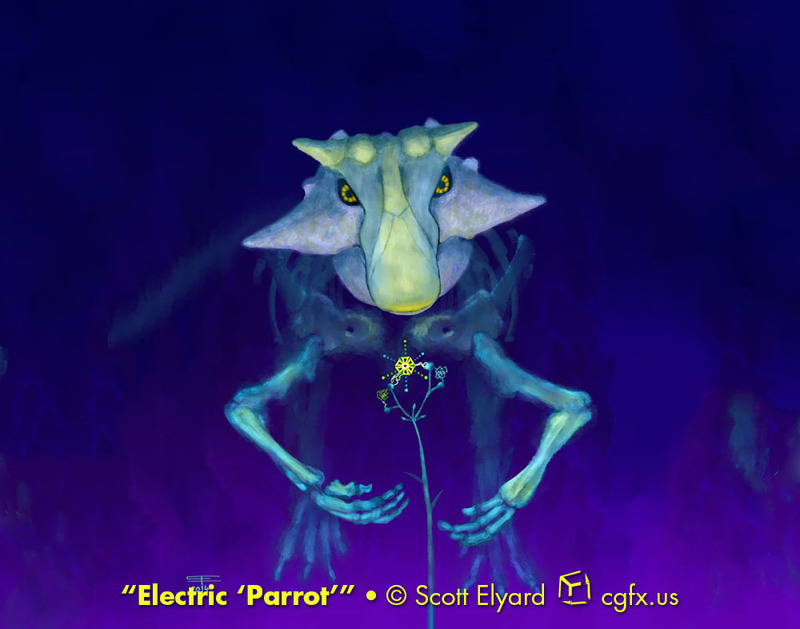 Electric 'Parrot': Psittacosaurus sibiricus; parrot-lizard from Siberia, rendered along the lines of the Trikeratos and Gloom of Duralumin Dragons paintings. 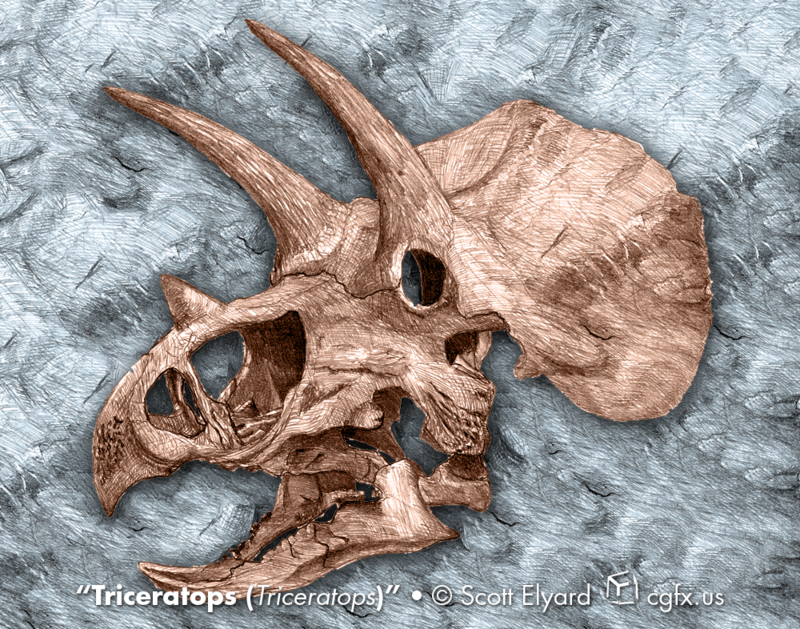 I guess this makes two ceratopsians to receive the electrotiki treatment. Anyway, there's prints and such available here.